Latest updates on projects and availability. The Shannara Chronicles has been renewed for a second season by MTV! Check out the story here. Editor on episodes 201, 204, 207, 210. Next up is going to be THE SHANNARA CHRONICLES for MTV. Adaptation of the popular Terry Brooks fantasy series of novels. Should be working on it March through July. All episodes go live March 20th. Only on Netflix. Producers and cast of Bloodline at the TCA this week. Article. 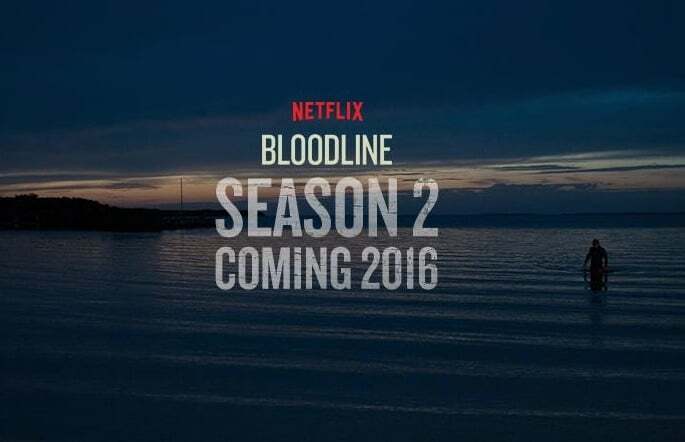 Josh is currently editing the upcoming Netflix series, BLOODLINE. See below for teaser trailer. For more information on the upcoming premiere of Deliverance Creek. Click here. Lifetime has announced the air date for the backdoor pilot - Deliverance Creek. Saturday Sept. 13. Here's the announcement and the first trailer. Josh will be editing the NBC pilot SALVATION beginning March 11.